Based on a 12-sheet large executive calendar with one months on each sheet; tinned top; full-color printing one side of sheet. 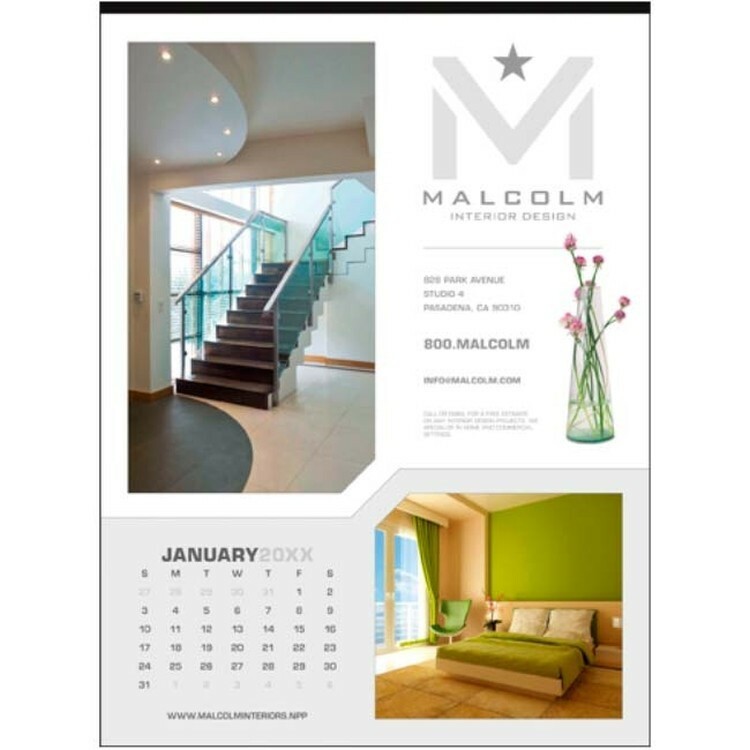 Create a one-of-a-kind custom calendar. Capability to take your idea from concept to completion. Endless possibilites. Material: Varies Per Custom Quote: Call for pricing and options. Dateblock Overprint $2.40 (G) per dateblock. Call for pricing. Approximately 8 working days for a pre-production proof. Approx 11 working days production after proof approval & receipt of shipping instructions. BIC Graphic cannot quote, sell or ship this product outside of the United States, Canada, Puerto Rico, U.S. Virgin Islands, Guam, Northern Mariana Islands, and American Samoa. Any orders shipping to locations outside these territories will not be processed. We apologize for any inconvenience this may cause.